EchoFlight is the first electronically scanning radar technology designed for mass production at commercial price points. 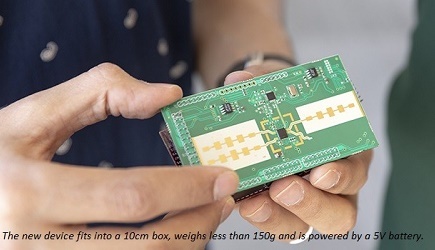 This compact, low power, light-weight radar is the perfect sensor for integration into a wide variety of UAS platforms. Its long-range all-weather detection and tracking is critical for receiving authorization to fly beyond visual line of sight (BVLOS) flights. The precision of our beam-steering radar minimizes collision risk by tracking aircraft locations at all times across a broad field-of-view. 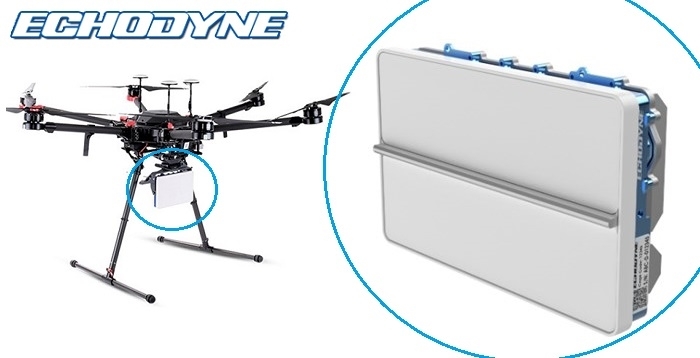 Echodyne will now be able to offer its groundbreaking air-to-air radar to US companies that employ non-US nationals and to non-US companies, promoting growth and safety of the commercial UAS market globally. The key to unlocking the potential of the commercial UAS industry is the ability for UAS to fly beyond visual line of sight and, eventually, autonomously. But to safely fly beyond visual line of sight (BVLOS), commercial UAS must be able to detect and avoid other aircraft and obstacles. For manned aircraft, the pilot performs this function. For unmanned aircraft, there needs to be a technological solution supported by an appropriate regulatory framework. EchoFlight radar offers this technological solution. Click here to learn more about the EchoFlight radar solution.